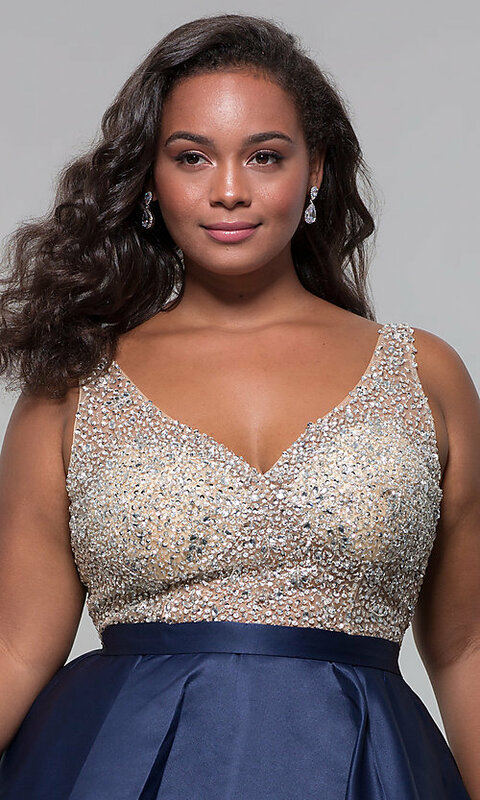 This short plus-size homecoming dress is beautifully highlighted with beads and sequins. The v-neck bodice on the short plus party dress is veiled in shimmering beads and sequins that illuminate the shining look. Gleaming satin forms the box-pleated short skirt that flares out from the banded waist. 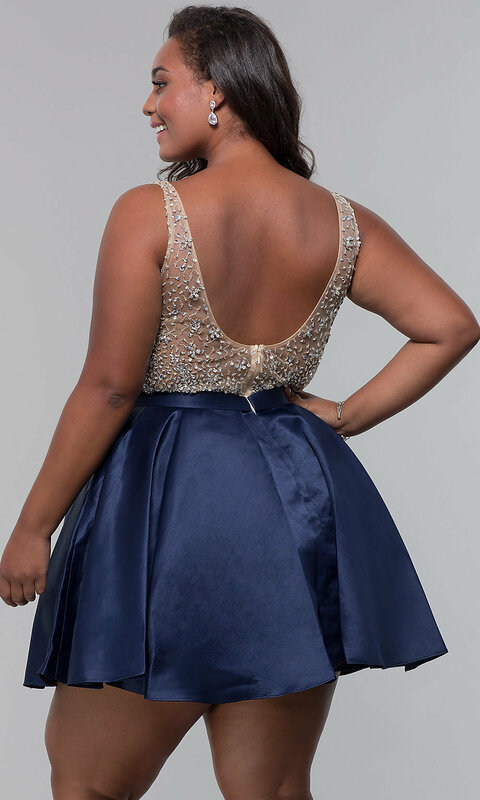 A tulle-trimmed satin lining gives this plus-size homecoming dress added volume, while trendy side pockets add to the appeal. At under $150, the plus-size dress sparkles with a subtle flair for homecoming events, holiday parties, and other semi-formal celebrations.